The rest was not so good. The clunky acting might reflect a screenplay desperate to humanize and popularize what was fundamentally a triumph of the intellect. But what got to me most was the treatment of Turing himself. On one hand there is the perhaps cinematically necessary canonisation of individual genius, sweeping aside so much important context. On the other there is the saccharin treatment of Turing’s open homosexuality (with compensatory boosting of Keira Knightley’s Joan Clarke) and the egregious scenes in which he stands accused of both treason and cowardice by association with Soviet spy John Cairncross, whom he likely never met. The requisite need for a bad guy does disservice also to Turing’s Bletchley Park boss Alastair Denniston, who while a product of old-school classics-inspired cryptography nonetheless recognized and supported Turing and his crew. Historical jiggery-pokery is of course to be expected in any mass-market biopic, but the story as told in The Imitation Game becomes much less interesting as a result. I studied at King’s College, Cambridge, Turing’s academic home and also where I first encountered the basics of modern day computer science and artificial intelligence (AI). By all accounts Turing was a genius, laying the foundations for these disciplines but also for other areas of science, which – like AI – didn’t even exist in his time. His theories of morphogenesis presaged contemporary developmental biology, explaining how leopards get their spots. He was a pioneer of cybernetics, an inspired amalgam of engineering and biology that after many years in the academic hinterland is once again galvanising our understanding of how minds and brains work, and what they are for. One can only wonder what more he would have done, had he lived. There is a breathless moment in the film where Joan Clarke (or poor spy-hungry and historically-unsupported Detective Nock, I can’t remember) wonders whether Turing, in cracking Enigma, has built his ‘universal machine’. This references Turing’s most influential intellectual breakthrough, his conceptual design for a machine that was not only programmable but re-programmable, that could execute any algorithm, any computational process. The Universal Turing Machine formed the blueprint for modern-day computers, but the machine that broke Enigma was no such thing. The ‘Bombe’, as it was known, was based on Polish prototypes (the bomba kryptologiczna) and was co-designed with Gordon Welchman whose critical ‘diagonal board’ innovation is in the film attributed to the suave Hugh Alexander (Welchman doesn’t appear at all). Far from being a universal computer the Bombe was designed for a single specific purpose – to rapidly run through as many settings of the Enigma machine as possible. 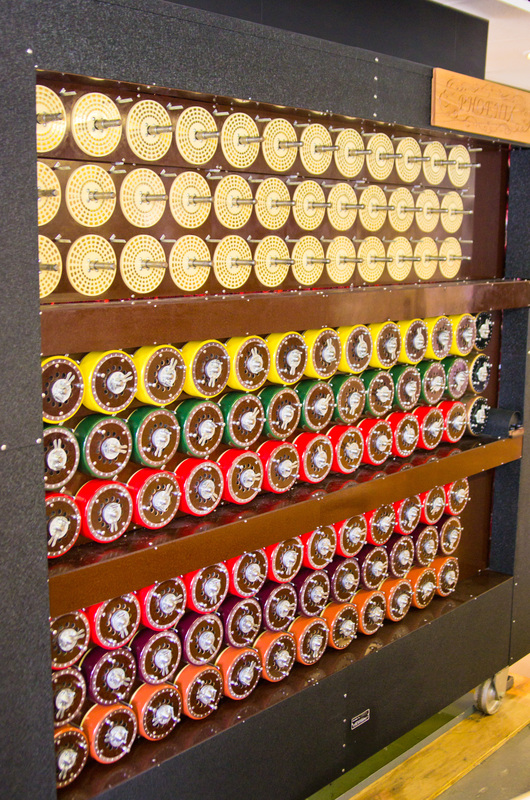 A working rebuilt Bombe at Bletchley Park, containing 36 Enigma equivalents. 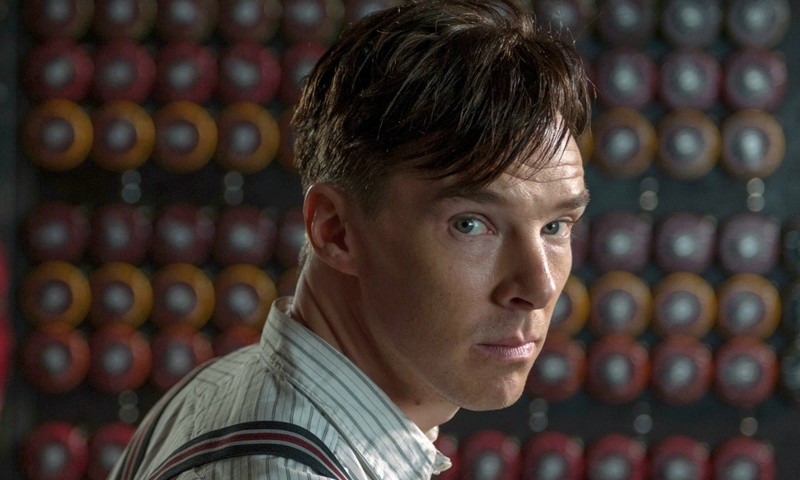 The (larger) Bombe in The Imitation Game was a high point – a beautiful piece of historical reconstruction. The Bombe is half the story of Enigma. The other half is pure cryptographic catnip. Even with a working Bombe the number of possible machine settings to be searched each day (the Germans changed all the settings at midnight) was just too large. The code-breakers needed a way to limit the combinations to be tested. And here Turing and his team inadvertently pioneered the principles of modern-day ‘Bayesian’ machine learning, by using prior assumptions to constrain possible mappings between a cipher and its translation. For Enigma, the breakthroughs came on realizing that no letter could encode itself, and that German operators often used the same phrases in repeated messages (“Heil Hitler!”). Hugh Alexander, diagonal boards aside, was supremely talented at this process which Turing called ‘banburismus’, on account of having to get printed ‘message cards’ from nearby Banbury. In this way the Bletchley code-breakers combined extraordinary engineering prowess with freewheeling intellectual athleticism, to find a testable range of Enigma settings, each and every day, which were then run through the Bombe until a match was found. 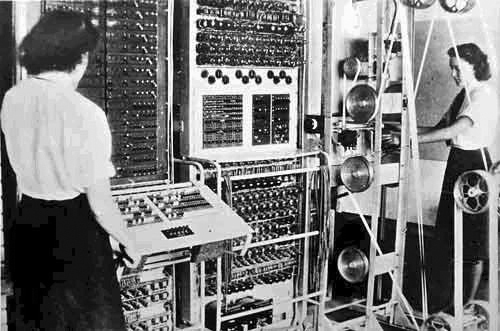 Though it gave the allies a decisive advantage, the Bombe was not the first computer, not the first ‘digital brain’. This honour belongs to Colossus, also built at Bletchley Park, and based on Turing’s principles, but constructed mainly by Tommy Flowers, Jack Good, and Bill Tutte. Colossus was designed to break the even more encrypted communications the Germans used later in the war: the Tunny cipher. After the war the intense secrecy surrounding Bletchley Park meant that all Colossi (and Bombi) were dismantled or hidden away, depriving Turing, Flowers – and many others – of recognition and setting back the computer age by years. It amazes me that full details about Colussus were only released in 2000. The Imitation Game of the title is a nod to Turing’s most widely known idea: a pragmatic answer to the philosophically challenging and possibly absurd question, “can machines think”. In one version of what is now known as the Turing Test, a human judge interacts with two players – another human and a machine – and must decide which is which. Interactions are limited to disembodied exchanges of pieces of text, and a candidate machine passes the test when the judge consistently fails to distinguish the one from the other. It is unfortunate but in keeping with the screenplay that Turing’s code-breaking had little to do with his eponymous test. It is completely understandable that films simplify and rearrange complex historical events in order to generate widespread appeal. But the Imitation Game focuses so much on a distorted narrative of Turing’s personal life that the other story – a thrilling ‘band of brothers’ tale of winning a war by inventing the modern world – is pushed out into the wings. The assumption is that none of this puts bums on seats. But who knows, there might be more to geek-chic than meets the eye. 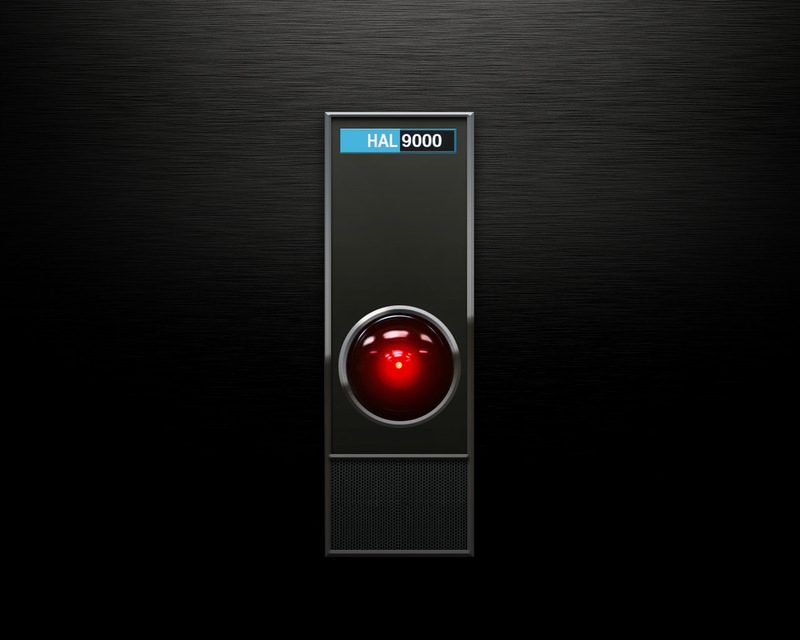 Should we fear the technological singularity? 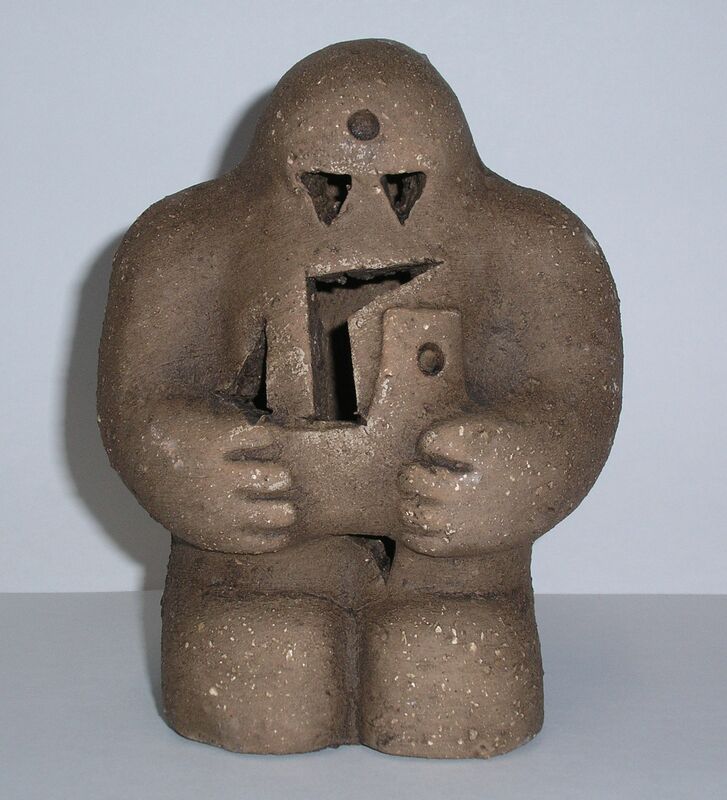 Could wanting the latest mobile phone for Christmas lead to human extermination? Existential risks to our species have long been part of our collective psyche – in the form of asteroid impacts, pandemics, global nuclear cataclysm, and more recently, climate change. The idea is not simply that humans and other animals could be wiped out, but that basic human values and structures of society would change so as to become unrecognisable. Last week, Stephen Hawking claimed that technological progress, while perhaps intended for human betterment, might lead to a new kind of existential threat in the form of self-improving artificial intelligence (AI). This worry is based on the “law of accelerating returns”, which applies when the rate at which technology improves is proportional to how good the technology is, yielding exponential – and unpredictable – advances in its capabilities. The idea is that a point might be reached where this process leads to wholesale and irreversible changes in how we live. This is the technological singularity, a concept made popular by AI maverick and Google engineering director Ray Kurzweil. We are already familiar with accelerating returns in the rapid development of computer power (“Moore’s law”), and Kurzweil’s vision of the singularity is actually a sort of utopian techno-rapture. But there are scarier scenarios where exponential technological growth might exceed our ability to foresee and prevent unintended consequences. Genetically modified food is an early example of this worry, but now the spotlight is on bio- and nano-technology, and – above all – AI, the engineering of artificial minds. 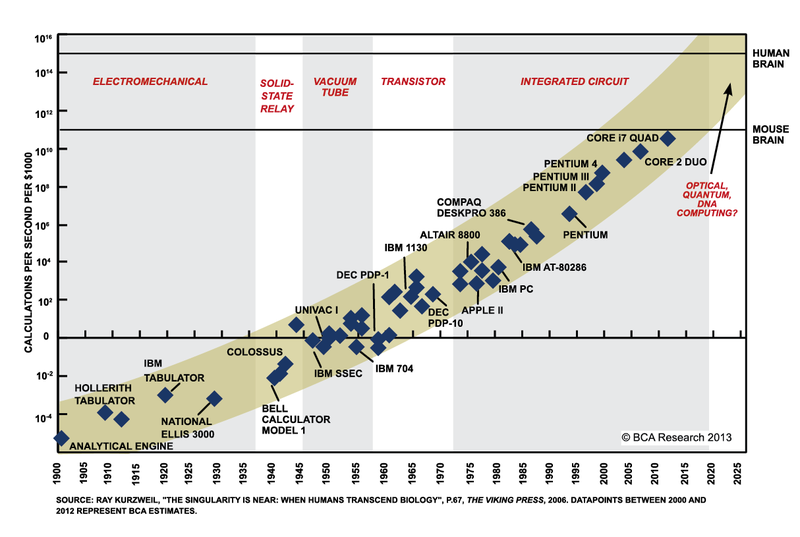 Moore’s law: the exponential growth in computational power since 1900. 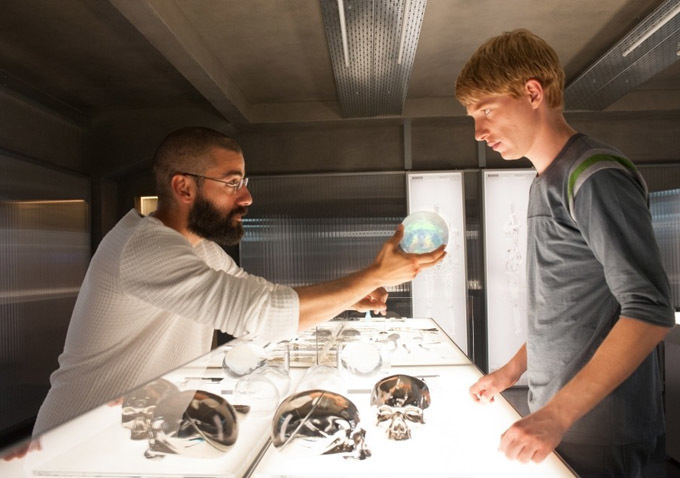 A focus on AI might seem weird given how disappointing present-day ‘intelligent robots’ are. They can hardly vacuum your living room let alone take over the world, and reports that the famous Turing Test for AI has been passed are greatly exaggerated. Yet AI has developed a surprising behind-the-scenes momentum. New ‘deep learning’ algorithms have been developed which, when coupled with vast amounts of data, show remarkable abilities to tackle everyday problems like speech comprehension and face recognition. As well as world-beating chess players like Deep Blue, we have Apple Siri and Google Now helping us navigate our messy and un-chesslike environments in ways that mimic our natural cognitive abilities. Huge amounts of money have followed, with Google this year paying £400M for AI start-up DeepMind in a deal which Google CEO Eric Schmidt heralded as enabling products that are “infinitely more intelligent”. What if the ability to engineer artificial minds leads to these minds engineering themselves, developing their own goals, and bootstrapping themselves beyond human understanding and control? This dystopian prospect has been mined by many sci-fi movies – think Blade Runner, HAL in 2001, Terminator, Matrix – but while sci-fi is primarily for entertainment, the accelerating developments in AI give pause for thought. Enter Hawking, who now warns that “the full development of AI could spell the end of the human race”. He joins real-world-Iron-Man Elon Musk and Oxford philosopher Nick Bostrom in declaring AI the most serious existential threat we face. (Hawking in fact used the term ‘singularity’ long ago to describe situations where the laws of physics break down, like at the centre of a black hole). However implausible a worldwide AI revolution might seem, Holmes will tell you there is all the difference in the world between the impossible and the merely improbable. Even if highly unlikely, the seismic impact of a technological singularity is such that it deserves to be taken seriously, both in estimating and mitigating its likelihood, and in planning potential responses. Cambridge University’s new Centre for the Study for Existential Risk has been established to do just this, with Hawking and ex-Astronomer Royal Sir Martin Rees among the founders. Dystopian eventualities aside, the singularity concept is inherently interesting because it pushes us to examine what we mean by being human (as my colleague Murray Shanahan argues in a forthcoming book). While intelligence is part of the story, being human is also about having a body and an internal physiology; we are self-sustaining flesh bags. It is also about consciousness; we are each at the centre of a subjective universe of experience. Current AI has little to say about these issues, and it is far from clear whether truly autonomous and self-driven AI is possible in their absence. The ethical minefield deepens when we realize that AIs becoming conscious would entail ethical responsibilities towards them, regardless of their impact on us. At the moment, AI like any powerful technology has the potential for good and ill, long before any singularity is reached. On the dark side, AI gives us the tools to wreak our own havoc by distancing ourselves from the consequences of our actions. Remote controlled military drones already reduce life-and-death decisions to the click of a button: with enhanced AI there would be no need for the button. On the side of the angels, AI can make our lives healthier and happier, and our world more balanced and sustainable, by complementing our natural mental prowess with the unprecedented power of computation. The pendulum may swing from the singularity-mongerers to the techno-mavens; and we should listen to both, but proceed serenely with the angels. This post is an amended version of a commisioned comment for The Guardian: Why we must not stall technological progress, despite its threat to humanity, published on December 03, 2014. It was part of a flurry of comments occasioned by a BBC interview with Stephen Hawking, which you can listen to here. I’m actually quite excited to see Eddie Redmayne’s rendition of the great physicist. The brain is much on our minds at the moment. David Cameron is advocating a step-change in dementia research, brain-computer interfaces promise new solutions to paralysis, and the ongoing plight of Michael Schumacher has reminded us of the terrifying consequences of traumatic brain injury. Articles in scholarly journals and in the media are decorated with magical images of the living brain, like the one shown below, to illuminate these stories. Yet, when asked, most neuroscientists will say we still know very little about how the brain works, or how to fix it when it goes wrong. A diffusion tensor image showing some of the main pathways along which brain connections are organized. The €1.2bn Human Brain Project (HBP) is supposed to change all this. Funded by the European Research Council, the HBP brings together more than 80 research institutes in a ten-year endeavour to unravel the mysteries of the brain, and to emulate its powers in new technologies. Following examples like the Human Genome Project and the Large Hadron Collider (where Higgs’ elusive boson was finally found), the idea is that a very large investment will deliver very significant results. But now a large contingent of prominent European neuroscientists are rebelling against the HBP, claiming that its approach is doomed to fail and will undermine European neuroscience for decades to come. Stepping back from the fuss, it’s worth thinking whether the aims of the HBP really make sense. Sequencing the genome and looking for Higgs were both major challenges, but in these cases the scientific community agreed on the objectives, and on what would constitute success. There is no similar consensus among neuroscientists. It is often said that the adult human brain is the most complex object in the universe. 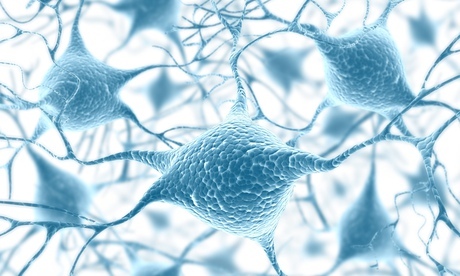 It contains about 90 billion neurons and a thousand times more connections, so that if you counted one connection each second it would take about three million years to finish. The challenge for neuroscience is to understand how this vast, complex, and always changing network gives rise to our sensations, perceptions, thoughts, actions, beliefs, desires, our sense of self and of others, our emotions and moods, and all else that guides our behaviour and populates our mental life, in health and in disease. No single breakthrough could ever mark success across such a wide range of important problems. 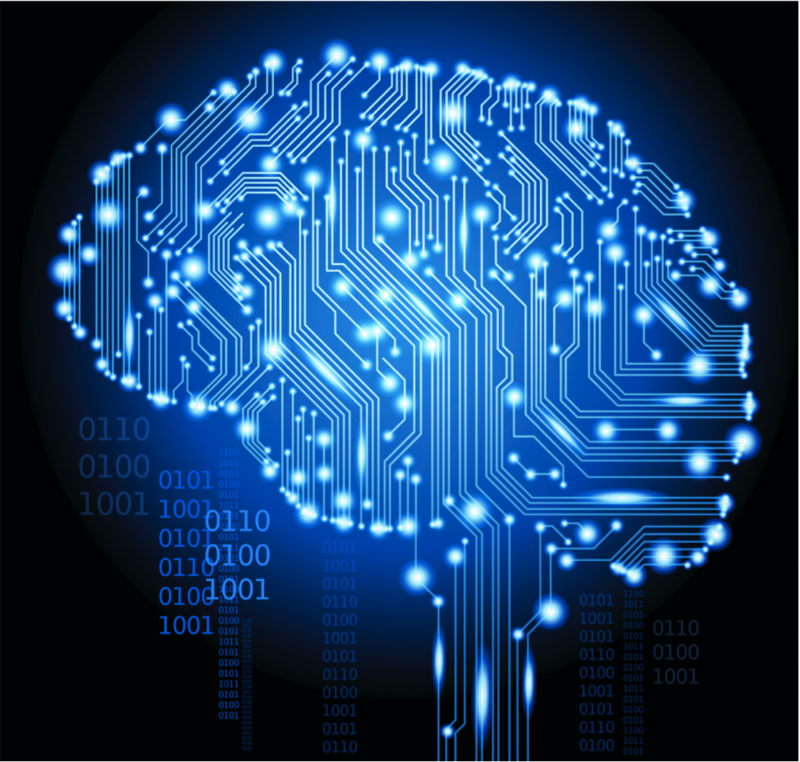 The central pillar of the HBP approach is to build computational simulations of the brain. Befitting the huge investment, these simulations would be of unprecedented size and detail, and would allow brain scientists to integrate their individual findings into a collective resource. What distinguishes the HBP – besides the money – is its aggressively ‘bottom up’ approach: the vision is that by taking care of the neurons, the big things – thoughts, perceptions, beliefs, and the like – will take care of themselves. As such, the HBP does not set out to test any specific hypothesis or collection of hypotheses, marking another distinction with common scientific practice. Could this work? 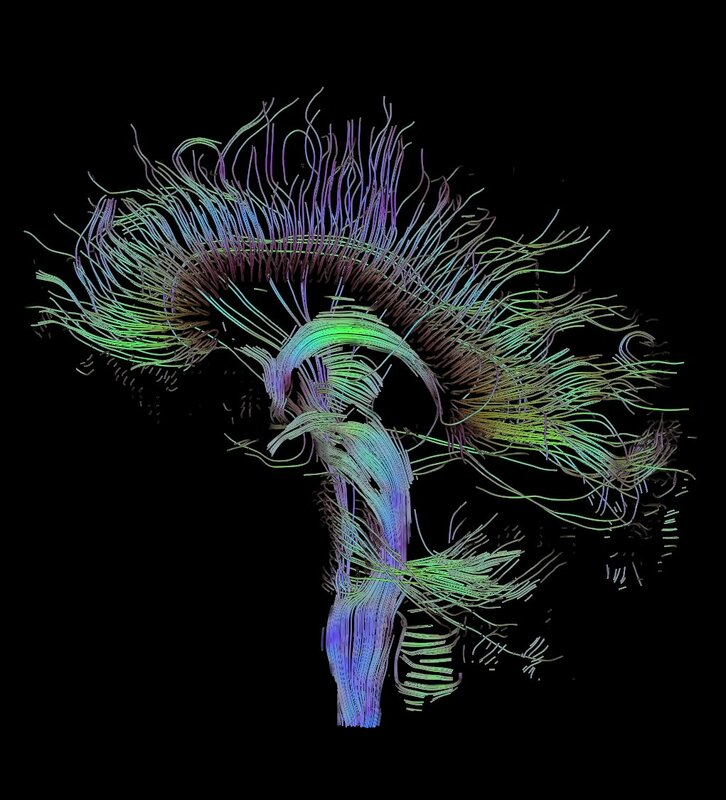 Certainly, modern neuroscience is generating an accelerating data deluge demanding new technologies for visualisation and analysis. This is the ‘big data’ challenge now common in many settings. It is also clear that better pictures of the brain’s wiring diagram (the ‘connectome’) will be essential as we move ahead. On the other hand, more detailed simulations don’t inevitably lead to better understanding. Strikingly, we don’t fully understand the brain of the tiny worm Caenorhabtis elegans even though it has only 302 neurons and the wiring diagram is known exactly. More generally, a key ability in science is to abstract away from the specifics to see more clearly what underlying principles are at work. 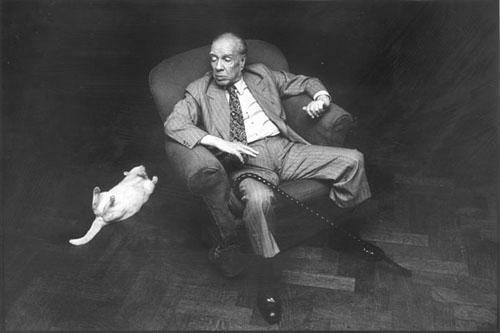 In the limit, a perfectly accurate model of the brain may become as difficult to understand as the brain itself, as Borges long ago noted when describing the tragic uselessness of the perfectly detailed map. Neuroscience is, and should remain, a broad church. Understanding the brain does not reduce to simulating the collective behaviour of all its miniscule parts, however interesting a part of the final story this might become. Understanding the brain means grasping complex interactions cross-linking many different levels of description, from neurons to brain regions to individuals to societies. It means complementing bottom-up simulations with new theories describing what the brain is actually doing, when its neurons are buzzing merrily away. It means designing elegant experiments that reveal how the mind constructs its reality, without always worrying about the neuronal hardware underneath. Sometimes, it means aiming directly for new treatments for devastating neurological and psychiatric conditions like coma, paralysis, dementia, and depression. Put this way, neuroscience has enormous potential to benefit society, well deserving of high profile and large-scale support. It would be a great shame if the Human Brain Project, through its singular emphasis on massive computer simulation, ends up as a lightning rod for dissatisfaction with ‘big science’ rather than fostering a new and powerfully productive picture of the biological basis of the mind. This article first appeared online in The Guardian on July 8 2014. It appeared in print in the July 9 edition, on page 30 (comment section). The HBP leadership have published a response to the open letter here. I didn’t find it very convincing. There have been a plethora of other commentaries on the HBP, as it comes up to its first review. I can’t provide an exhaustive list but I particularly liked Gary Marcus’ piece in the New York Times (July 11). There was also trenchant criticism in the editorial pages of Nature. Paul Verschure has a nice TED talk addressing some of the challenges facing big data, encompassing the HBP. Could you tell difference between a non-native-English-speaking 13-year old Ukranian boy, and a computer program? On Saturday, at the Royal Society, one out of three human judges were fooled. So, it has been widely reported, the iconic Turing Test has been passed and a brave new era of Artificial Intelligence (AI) begins. Not so fast. While this event marks a modest improvement in the abilities of so-called ‘chatbots’ to engage fluently with humans, real AI requires much more. Here’s what happened. At a competition held in central London, thirty judges (including politician Lord Sharkey, computer scientist Kevin Warwick, and Red Dwarf actor Robert Llewellyn) interacted with ‘Eugene Goostman’ in a series of five-minute text-only exchanges. As a result, 33% of the judges (reports do not yet say which, though tweets implicate Llewellyn) were persuaded that ‘Goostman’ was real. The other 67% were not. It turns out that ‘Eugene Goostman’ is not a teenager from Odessa, but a computer program, a ‘chatbot’ created by computer engineers Vladimir Veselov and Eugene Demchenko. According to his creators, ‘Goostman’ was ‘born’ in 2001, owns a pet guinea pig, and has a gynaecologist father. The Turing Test, devised by computer science pioneer and codebreaker Alan Turing, was proposed as a practical alternative to the philosophically challenging and possibly absurd question, “can machines think”. In one popular interpretation, a human judge interacts with two players – a human and a machine – and must decide which is which. A candidate machine passes the test when the judge consistently fails to distinguish the one from the other. Interactions are limited to exchanges of strings of text, to make the competition fair (more on this later; its also worth noting that Turing’s original idea was more complex than this, but lets press on). While there have been many previous attempts and prior claims about passing the test, the Goostman-bot arguably outperformed its predecessors, leading Warwick to noisily proclaim “We are therefore proud to declare that Alan Turing’s Test was passed for the first time on Saturday”. This is a major overstatement which does grave disservice to the field of AI. While Goostman may represent progress of a sort – for instance this year’s competition did not place any particular restrictions on conversation topics – some context is badly needed. An immediate concern is that Goostman is gaming the system. By imitating a non-native speaker, the chatbot can make its clumsy English expected rather than unusual. Hence its reaction to winning the prize: “I feel about beating the Turing test in quite convenient way”. And its assumed age of thirteen lowers expectations about satisfactory responses to questions. As Veselov put it “Thirteen years old is not too old to know everything and not too young to know nothing.” While Veselov’s strategy is cunning, it also shows that the Turing test is as much a test of the judges’ abilities to make suitable inferences, and to ask probing questions, as it is of the capabilities of intelligent machinery. More importantly, fooling 33% of judges over 5 minute sessions was never the standard intended by Alan Turing for passing his test – it was merely his prediction about how computers might fare within about 50 years of his proposal. (In this, as in much else, he was not far wrong: the original Turing test was described in 1950.) A more natural criterion, as emphasized by the cognitive scientist Stevan Harnad, is for a machine to be consistently indistinguishable from human counterparts over extended periods of time, in other words to have the generic performance capacity of a real human being. This more stringent benchmark is still a long way off. Perhaps the most significant limitation exposed by Goostman is the assumption that ‘intelligence’ can be instantiated in the disembodied exchange of short passages of text. On one hand this restriction is needed to enable interesting comparisons between humans and machines in the first place. On the other, it simply underlines that intelligent behaviour is intimately grounded in the tight couplings and blurry boundaries separating and joining brains, bodies, and environments. If Saturday’s judges had seen Goostman, or even an advanced robotic avatar voicing its responses, there would no question of any confusion. Indeed, robots that are today physically most similar to humans tend to elicit sensations like anxiety and revulsion, not camaraderie. 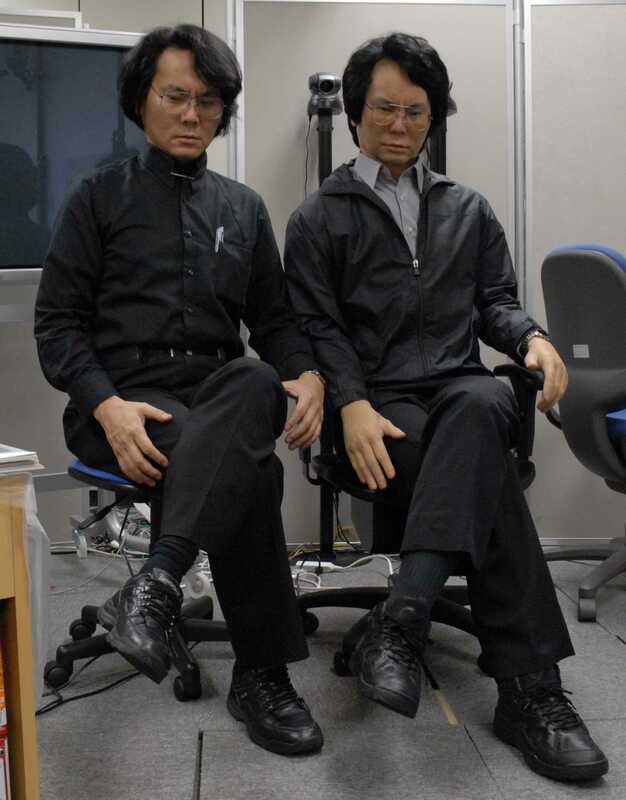 This is the ‘uncanny valley’ – a term coined by robotics professor Masahiro Mori in 1970 (with a nod to Freud) and exemplified by the ‘geminoids’ built by Hiroshi Ishiguro. Hiroshi Ishiguro and his geminoid. Another imitation game. A growing appreciation of the importance of embodied, embedded intelligence explains why nobody is claiming that human-like robots are among us, or are in any sense imminent. Critics of AI consistently point to the notable absence of intelligent robots capable of fluent interactions with people, or even with mugs of tea. In a recent blog post I argued that new developments in AI are increasingly motivated by the near forgotten discipline of cybernetics, which held that prediction and control were at the heart of intelligent behaviour – not barefaced imitation as in Turing’s test (and, from a different angle, in Ishiguro’s geminoids). While these emerging cybernetic-inspired approaches hold great promise (and are attracting the interest of tech giants like Google) there is still plenty to be done. These ideas have two main implications for AI. The first is that true AI necessarily involves robotics. Intelligent systems are systems that flexibly and adaptively interact with complex, dynamic, and often social environments. Reducing intelligence to short context-free text-based conversations misses the target by a country mile. The second is that true AI should focus not only on the outcome (i.e., whether a machine or robot behaves indistinguishably from a human or other animal) but also on the process by which the outcome is attained. This is why considerable attention within AI has always been paid to understanding, and simulating, how real brains work, and how real bodies behave. 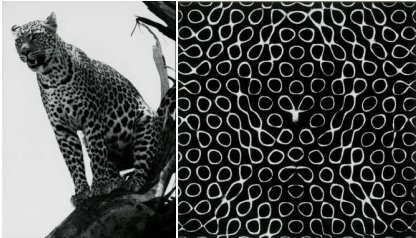 How the leopard got its spots: Turing’s chemical basis of morphogenesis. 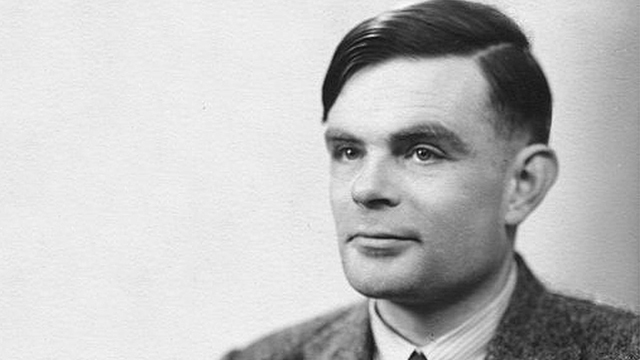 Turing of course did much more than propose an interesting but ultimately unsatisfactory (and often misinterpreted) intelligence test. He laid the foundations for modern computer science, he saved untold lives through his prowess in code breaking, and he refused to be cowed by the deep prejudices against homosexuality prevalent in his time, losing his own life in the bargain. He was also a pioneer in theoretical biology: his work in morphogenesis showed how simple interactions could give rise to complex patterns during animal development. And he was a central figure in the emerging field of cybernetics, where he recognized the deep importance of embodied and embedded cognition. The Turing of 1950 might not recognize much of today’s technology, but he would not have been fooled by Goostman. [postscript: while Warwick &co have been very reluctant to release the transcript of Goostman’s 2014 performance, this recent Guardian piece has some choice dialogue from 2012, where Goostman polled at 28%, not far off Saturday’s 33%. This piece was updated on June 12 following a helpful dialog with Aaron Sloman].